Single … Twitter: @ JoseRon98636878 … Instagram: @joserondon67. Split the season between Chicago and Class AAA Charlotte ... Appeared in 42 games with the Sox, including 10 (six starts) at shortstop, eight (eight) at third base, four (two) at second base and one (zero) at shortstop … also appeared in 10 games as the designated hitter (four home runs) ... Was recalled from Charlotte on 5/5 … made his White Sox debut as a pinch hitter that night vs. Minnesota, going 0-1 … made his first start as the second baseman on 5/6 vs. the Twins, going 2-4 with a run scored ... Was optioned to Charlotte following the game on 5/13 at Cubs and recalled a second time on 5/19 ... Homered three times in four games from 5/23-27 … hit his first career major-league home run on 5/23 vs. Baltimore, a two-run shot off Tanner Scott in the seventh … added a three-run homer in his next game on 5/26 at Detroit ... Was optioned to Charlotte on 6/22 and recalled for a third time on 8/22, taking the roster spot of 1B José Abreu (disabled list) … remained with the Sox for the remainder of the season ... Hit his fourth homer of 2018 on 8/23 at the Tigers … reached base three times on 8/25 at Detroit for the first time in his career ... Led Charlotte in triples (four) and home runs (18) and ranked third in RBI (50) … 15 of his 18 home runs came off righthanders, 10 were at home and 13 were solo shots ... Recorded a nine-game hitting streak from 4/25-5/4, going 13-38 (.342) with one homer and three RBI ... Hit a pair of home runs with three RBI on 7/21 vs. Indianapolis. Combined to hit .293 (93-317) with 20 doubles, three triples, seven home runs, 49 RBI and 44 runs scored over 78 games between Class AA San Antonio, Class AAA El Paso and the Arizona Rookie League Padres (teams 1 and 2) ... Opened the season with San Antonio before being placed on the disabled list on 4/9 with strained left quad … was reinstated from the disabled list on 4/28 ... Recorded four hits on 5/25 vs. Tulsa … registered multiple hits in seven consecutive games from 6/1-8, going 17-31 (.548) with seven doubles and four RBI … the multi-hit streak started a 12-game hitting streak from 6/1-13 ... Was transferred to El Paso on 6/30 ... Was on the El Paso disabled list from 7/17-8/18 with inflammation in his left hand … appeared in five injury rehab games with the AZL Padres ... Hit safely in 17 of his 22 games with El Paso … batted .345 (10-29) vs. left-handers and .433 (13-30) with RISP ... Was placed on the disabled list on 8/25 with a sprained right ankle and missed the remainder of the season ... Played for Aragua in the Venezuelen Winter League ... Was designated for assignment by San Diego on 1/6/18 and acquired by the White Sox in exchange for cash considerations on 1/10/18. Split the season between Double-A San Antonio, Triple-A El Paso and the Padres, receiving his first career call-up on 7/29...Received his first taste of the Majors in 2016 after receiving his first career call-up on 7/29 when the Padres selected his contract from Double-A San Antonio...Made his Major League debut that day on 7/29 with a pinch-hit appearance…started his first career game the next day on 7/30 at shortstop ...Collected his first career hit that day on 7/30 vs. Cincinnati with a single off of Anthony DeSclafani...Optioned to Double-A San Antonio on 8/1 and recalled the next day on 8/2 after another player landed on the disabled list...optioned again on 8/10 to Triple-A El Paso where he played the remainder of his season...Named a Texas League mid-season All-Star in 2016 for the Missions...With San Antonio, where he played the majority of his season, he hit .326 (28-for-86) against left-handers and .266 (77-for-290) vs. right-handers. Split the season between Class A Lake Elsinore and San Antonio, hitting a combined .267 (90-37) with 14 doubles, four triples, three home runs, 31 RBI, 56 runs scored and 18 stolen bases over 85 games ... Began the season with Lake Elsinore before being promoted to San Antonio on 6/16 ... Suffered a season-ending injury on 6/16, fracturing his right elbow during a head-first slide. Spent the entire season with Rookie Orem … was named a Pioneer League postseason All-Star ... Tied for second in the PL in doubles (22) and fourth in hits (81). Combined to hit .264 (56-212) with 14 doubles, three triples, one home run, 21 RBI and 30 runs scored over 54 games between the Arizona Rookie League Angels and Orem. Made his professional debut with the Dominican Summer League Angels, appearing in 49 games. 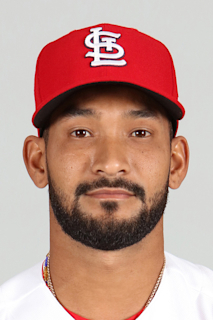 October 29, 2018 2B Jose Rondon assigned to Leones del Caracas. August 22, 2018 Chicago White Sox recalled 2B Jose Rondon from Charlotte Knights. June 21, 2018 Chicago White Sox optioned 2B Jose Rondon to Charlotte Knights. May 19, 2018 Chicago White Sox recalled Jose Rondon from Charlotte Knights. May 14, 2018 Chicago White Sox optioned 2B Jose Rondon to Charlotte Knights. May 5, 2018 Chicago White Sox recalled Jose Rondon from Charlotte Knights. March 14, 2018 Chicago White Sox optioned SS Jose Rondon to Charlotte Knights. March 13, 2018 Chicago White Sox optioned SS Jose Rondon to Charlotte Knights. January 10, 2018 San Diego Padres traded SS Jose Rondon to Chicago White Sox for cash. January 6, 2018 San Diego Padres designated SS Jose Rondon for assignment. November 14, 2017 SS Jose Rondon assigned to Tigres de Aragua. October 2, 2017 San Diego Padres recalled SS Jose Rondon from El Paso Chihuahuas. September 3, 2017 El Paso Chihuahuas activated SS Jose Rondon from the 7-day disabled list. August 27, 2017 El Paso Chihuahuas placed SS Jose Rondon on the 7-day disabled list. August 18, 2017 El Paso Chihuahuas activated SS Jose Rondon from the 7-day disabled list. August 15, 2017 El Paso Chihuahuas sent SS Jose Rondon on a rehab assignment to AZL Padres. August 13, 2017 El Paso Chihuahuas sent SS Jose Rondon on a rehab assignment to AZL Padres 2. July 20, 2017 El Paso Chihuahuas placed SS Jose Rondon on the 7-day disabled list. June 23, 2017 SS Jose Rondon assigned to El Paso Chihuahuas from San Antonio Missions. April 28, 2017 San Antonio Missions activated SS Jose Rondon from the 7-day disabled list. April 9, 2017 San Antonio Missions placed SS Jose Rondon on the 7-day disabled list. Strained left hamstring. March 29, 2017 SS Jose Rondon assigned to San Antonio Missions from El Paso Chihuahuas. March 13, 2017 San Diego Padres optioned SS Jose Rondon to El Paso Chihuahuas. November 25, 2016 SS Jose Rondon assigned to Tigres de Aragua. October 6, 2016 SS Jose Rondon assigned to Navegantes del Magallanes. October 3, 2016 San Diego Padres recalled Jose Rondon from El Paso Chihuahuas. August 10, 2016 San Diego Padres optioned SS Jose Rondon to El Paso Chihuahuas. August 2, 2016 San Diego Padres recalled Jose Rondon from San Antonio Missions. August 1, 2016 San Diego Padres optioned SS Jose Rondon to San Antonio Missions. July 29, 2016 San Diego Padres recalled Jose Rondon from San Antonio Missions. March 14, 2016 San Diego Padres optioned SS Jose Rondon to San Antonio Missions. November 19, 2015 San Diego Padres selected the contract of Jose Rondon from San Antonio Missions. September 28, 2015 San Antonio Missions activated SS Jose Rondon from the 7-day disabled list. July 21, 2015 San Antonio Missions placed SS Jose Rondon on the 7-day disabled list. June 15, 2015 SS Jose Rondon assigned to San Antonio Missions from Lake Elsinore Storm. February 24, 2015 San Diego Padres invited non-roster SS Jose Rondon to spring training. October 9, 2014 SS Jose Rondon assigned to Navegantes del Magallanes. July 19, 2014 San Diego Padres traded RHP Huston Street and RHP Trevor Gott to Los Angeles Angels for 2B Taylor Lindsey, RHP R.J. Alvarez, SS Jose Rondon and RHP Elliot Morris. July 19, 2014 SS Jose Rondon assigned to Lake Elsinore Storm. June 24, 2014 Inland Empire 66ers activated SS Jose Rondon from the 7-day disabled list. June 20, 2014 Inland Empire 66ers sent SS Jose Rondon on a rehab assignment to AZL Angels. June 3, 2014 Inland Empire 66ers placed SS Jose Rondon on the 7-day disabled list. April 2, 2014 SS Jose Rondon assigned to Inland Empire 66ers from Orem Owlz. August 30, 2012 SS Jose Rondon assigned to Orem Owlz from AZL Angels. April 4, 2012 Jose Rondon assigned to AZL Angels from DSL Angels. April 1, 2011 Jose Rondon assigned to DSL Angels. January 13, 2011 Los Angeles Angels signed free agent Jose Rondon.